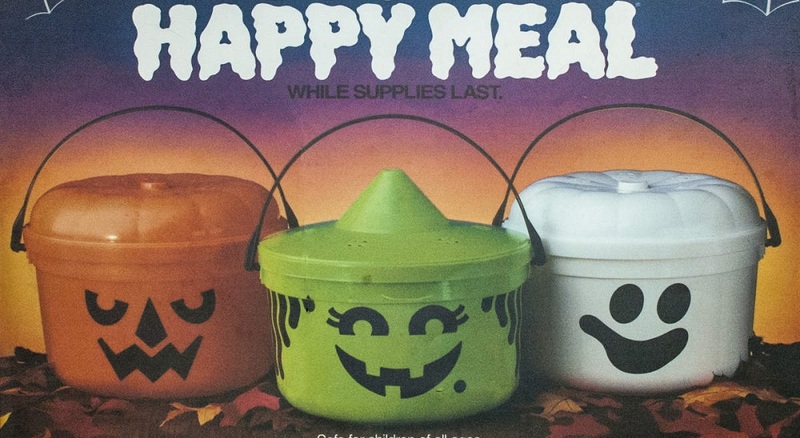 As a kid nothing said Halloween like going to McDonald's and getting their special Happy Meal Pail. You knew you were in for a treat when the 1st of October came around; what was it going to be this year? The McBoo? The Witch, Ghost or Pumpkin? Even when they rolled over to feature Scooby-Doo and Charlie Brown they still retained a bit of nostalgia signaling that trick or treat was right around the corner. But sadly McDonald's has killed the Halloween Happy Meal Pail. It looks like last year's (2016) Charlie Brown pails are the end of the road for McDonald's Halloween Pails. Instead of pails this year they opted for Transformer and My Little Pony toys. We reached out to McDonald's for a comment but have yet to receive a response. I was going to do a write up about the history of the pails, but if you head over to Dinosaur Dracula they have a nice write-up about the pails and the McNugget Buddies.